So, we’ve all had this experience: an inconsiderate driver cuts you off in the parking lot just to steal the space you were waiting for, and then what? Basically… nothing. As your blood boils and you hold back a stream of cuss words, you tell yourself that *someday* karma will get him for you. Then, you drive on like the mature, not-road-raging adult that you are. What’s better, though? When karma swoops right in and does its work right in front of you. For instance, one man who’d just gotten cut off by somebody in the office parking lot stepped inside his office to see the culprit had just arrived for an interview – with him, the company’s hiring manager (spoiler alert: that guy did not get the job!). Online there are huge round-ups of super-satisfying instant karma moments just like this one. 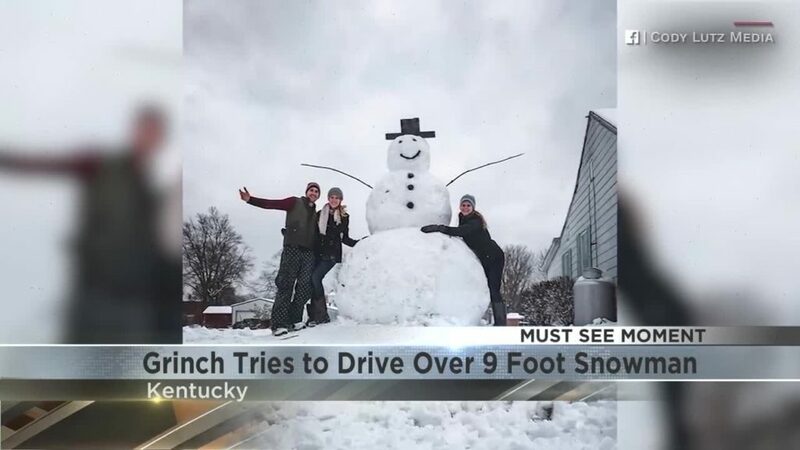 In Kentucky, somebody thought it would be funny to drive off the road and into someone’s yard just to topple one family’s 9-foot tall snowman. Instant karma? The grinch slams into the hidden foundation of the snowman: a huge tree stump. Somewhere in Kentucky, someone is driving around with a dented bumper and a face twisted in secret shame. Another dude thought it would be cool to jump on a bus, snag a woman’s purse, and jump off. Just one problem with that plan: the bus driver closed the door on his fingers before he could escape and proceeded to hit him with a baseball bat he happened to have on hand. Instant karma? A detour straight to the police station. In China, a tourist thought it was a great idea to break into a zoo enclosure and wake up a napping panda bear (you know, a vulnerable species)… so the panda bear charged him, grabbed him by the leg, knocked him to the ground, and held him down. And that is why you don’t poke a bear. Sometimes, karma is simple and sweet. Like with this mean guy who tried to kick a dog… and then fell headfirst into a parked car. 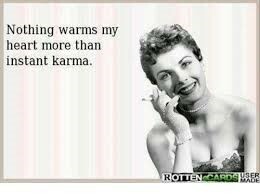 There’s nothing like seeing karma come around exactly when you need it. Other times, you just have to wait and have faith. Next time you’re wishing karma would hurry up already, I’ve got a tip: head to Youtube for some instant satisfaction (but be careful – some of these are not safe for work!). And remember: soon enough, the scales will tip the right way. They always do.